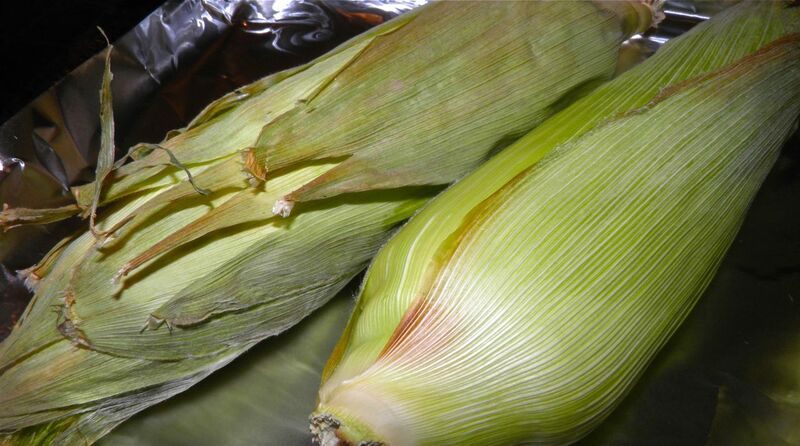 Corn, gently steamed in its own husk, is a treat. Fresh eras of local corn are making their way to the grocery stores and farmers’ markets around the province. For most people that means boiling the heck out of it and rolling it in plain butter. This recipe is simple, but so few people do it. I guess because we’ve always been taught one way to cook it. That’s in a pot of salted water. 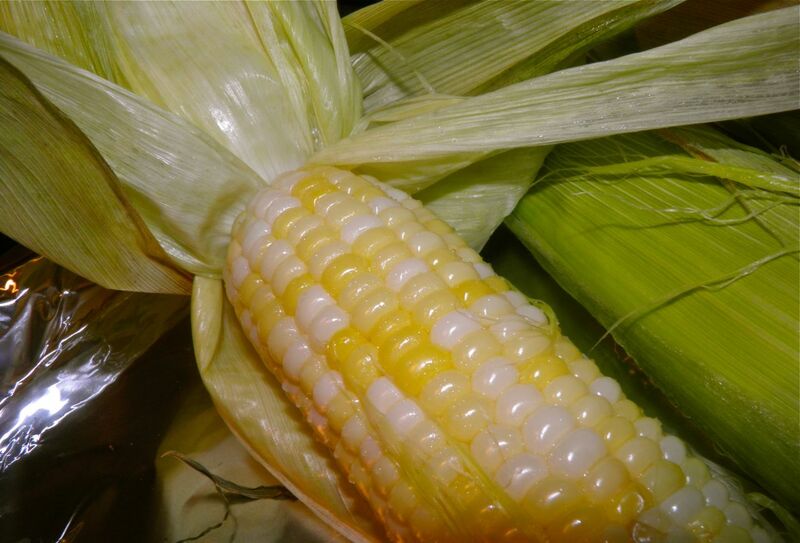 Most people love corn on the cob, but whoever is cooking it isn't all that fond of removing all the husks and silk before boiling. That's a fact. Just remove the silk and away you go. What if there was a way to at least postpone the cleaning of all those ears, or better yet, foist the duty off on the eater rather than the cook? Well there is. Cooking the corn in the husk is about the easiest way to possibly cook fresh corn. And I believe up there among the best. I find that the husk adds a nice flavour to the corn that isn’t there when the husk is removed. If you have a lot of people in your backyard and a pile of corn in the kitchen this may just be the recipe for you! Just stick it in the oven and set the timer. If you like performing in front of a crowd this could also be done on a barbecue set to medium heat. Just be sure not to scorch the husks or the flavour will transfer into the kernels on the cob. Of course the time may very well be different than in the oven. Here’s an additional piece of information you should also have. If you clean and boil the corn, only cook it for 5 minutes once it reaches the boiling point. Fresh corn needs no more time than that to cook. Here’s a serving idea for either boiled, baked or grilled: take some butter, soften it and add a little ground mexican chilli and/or ground cumin. It will lift your corn into the stratosphere! Slightly browned. If yours gets a little browner don't worry. Soak the ears of corn in water for 2-3 minutes. This will help chase out any “critters” if there are any and add some moisture to the husk. Pull off any silk that is showing at the end of the corn. (You may also want to check for any bugs in the very tip of the corn, but you should have done this at the store before buying.) Cut off any unnecessary stalk that may be attached to the end of the corn. 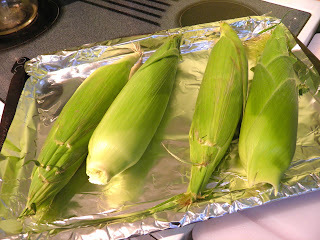 Arrange the corn in one layer on baking sheets. Place in the oven and let bake for 30 minutes. The husks will start to dry out and turn a little brown. Remove from the oven and let people dig in.